This workshop will appeal to anyone interested in the figure as an art form: sculptors, painters, draftsmen, and graphic artists alike. This sculpture workshop focuses on the the archetypal or memory shapes of the torso by abstracting the figure into simpler geometry and planes. The forms of the torso are essentially identical on all figures and this is what we are after to learn. 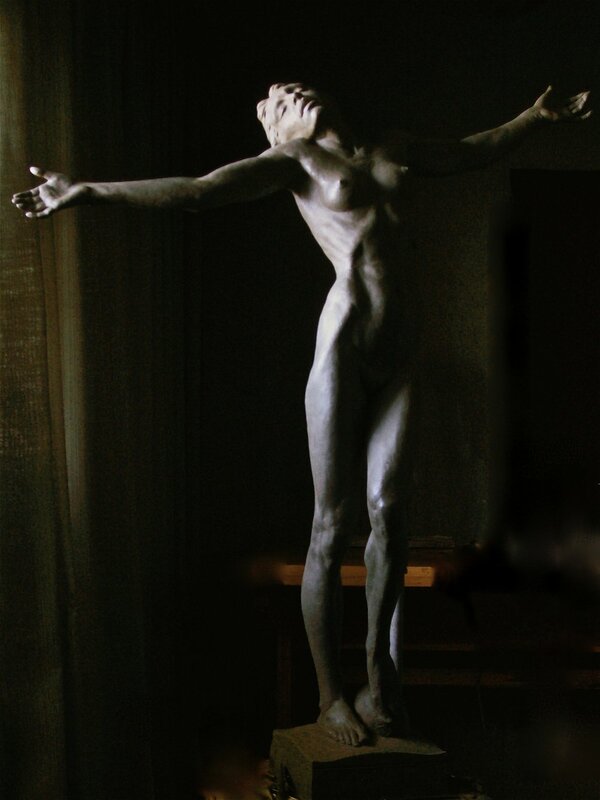 The uniqueness of each torso comes in the proportions and this will vary from figure to figure within a range. Just as a mechanic has a fundamental working knowledge of a car engine before he opens the hood, so a figurative artist should have a fundamental concept of the shapes of the figure in order to construct the figure, including the function of parts and their relation to other parts. Working from the live model and Stephen’s demonstrations, the class will start with the the larger forms (pelvis, ribcage/shoulder girdle) and proceed to the smaller forms, developing a conceptual geometric shape for each of the major and minor forms of the torso. Demonstrations, lectures, and individual instruction will be utilized as teaching modes. Students can work at whatever scale they are comfortable, larger scales are encouraged (up to 3/4 life-size) to develop detail on smaller forms. Three days will include a male model, and one day will include a female model. Tuition covers instruction and model fees only, students are responsible to purchase and bring their materials (clay, armature, tools). Cost is $500. Tuition covers instruction and model fees only, students are responsible to purchase and bring their materials (clay, armature, tools).